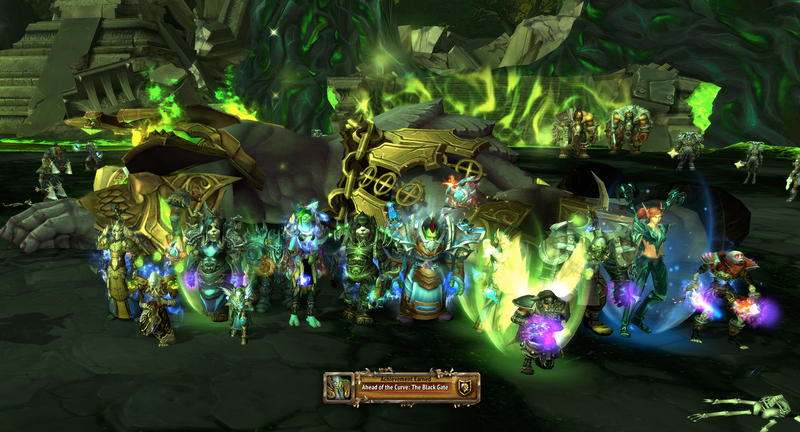 After we killed Archimonde, we went back and did the first 6 bosses on Heroic. To make things faster we 2 healed almost everything, which was a challenge but also a lot of fun. I actually did pretty well on Iron Reaver and I managed to rank 450 on that fight (which I know isn’t that great at all, but for me it was awesome!) So overall we had a pretty good night. Congratulations 🙂 I’m so glad you got him down. I can’t believe I was online to see it; I had gone afk over 1 hour before and somehow Eluvi’s screensaver had kept me from logging out – it never normally keeps me in game for that long though, I got back to my PC to find me still logged in seconds before the guild announcement came up. Must have been fate for me to be online and see the ach pop up! Aww it was nice that you were there! I’m sorry I didn’t see you or get a chance to respond. Silly loot and screen shots and all that.